I was lucky enough to be the lead creative on Choice's Free Range Egg 'GIVE A CLUCK' campaign. The aim of the campaign was to call out on our federal ministers to implement a national free range egg standard. To do this our campaigns team came up with the idea to produce a billboard that would allow us to send this strong message to Ministers deciding on the free range egg standard. With that, being not-for-profit we started a crowdfunding page where supporters could donate to fund the billboard for a nominated amount in which merchandise was offered in exchange for their support. Also as part of the Free Range Egg campaign, one of our Policy advisors and I pitched the idea to create an egg related cooking ebook. 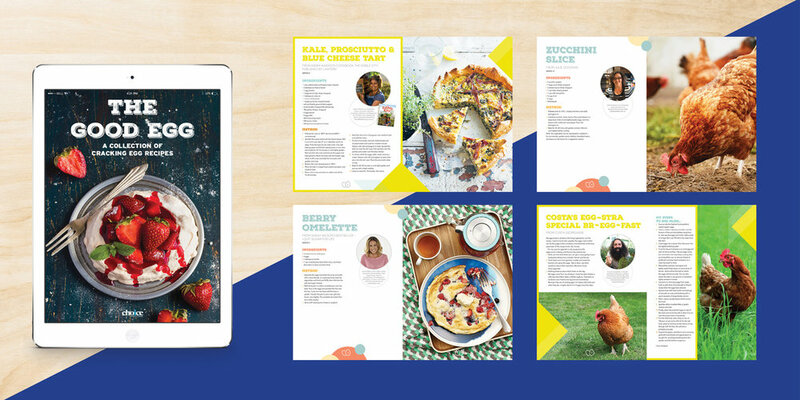 We then contacted free range egg farmers and other personalities such as Indira Naidoo, Costa Georgiadis, Katherine Sabbath and Sarah Wilson to contribute to the ebook which was part of the crowd funding campaign. A big part of the design work that comes through our design department come from our Campaigns team who are always working hard fighting the good fight for consumers. These are some of the designs that I have created for many various campaigns that end use help complement the campaigns drive.